DIY college visits with our Insider Guide Books! Why did I start College Scoops? Have you ever asked your child what they loved about a college visit only to hear about the stuffed burger, fried Oreo or burrito they enjoyed in between campus tours? Don’t fret! The most important thing to remember during this experience is the time spent exploring, listening, and enjoying every moment with your college-bound child. Before you know it, your son or daughter will be off on their next adventure looking at internships. Spending time exploring new and interesting sights with your son or daughter while on college visits can and should be a fun and memorable experience. However, we often end up rushing from one school to the other stressing about the logistics and how we can cram as much as possible into each and every visit, without actually getting a feel for each of the school communities. 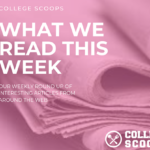 I started College Scoops after spending countless hours scouting college campuses with my three college-bound teenagers. Traveling with my kids to visit prospective colleges always presented opportunities to learn more about myself and each child. It was also a time for lots of laughs and a few tears as we all started to realize leaving the home base would soon be a reality. I remember the time I dropped my daughter off for an interview and finally found the perfect coffee shop to work, only for her to call me insisting I had to come back to admissions for my own “interview”. 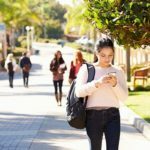 After many college visits, I learned my son wanted to be close to a city and did not want his college experience to revolve around Greek life. My daughter, who always talked about going south for warmer weather, has gone north where everyone wears a long coat and warm boots to survive the cold from October through March. 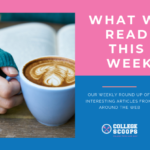 College Scoops has ‘been there-done that’ and we want to share our inside scoops with you. Our student ambassadors constantly comment on how they wish College Scoops was around when they were looking at schools. Our parent ambassadors want to give back and make your life a little easier and tastier so you can sit back, relax, and enjoy the ride. As a bit of background, I worked in High Tech Sales and Consulting while obtaining my MBA from Columbia Business School. I moved to London and Paris for 7 years, started a family, and explored local neighborhoods as much as possible with my kids in tow. Enjoy the sights and bites!